This is a book for Italian bread fanatics or for professional bakers, because it is far beyond what the amateur home baker is probably interested in. The supplies alone will set someone back quite a bit of money. 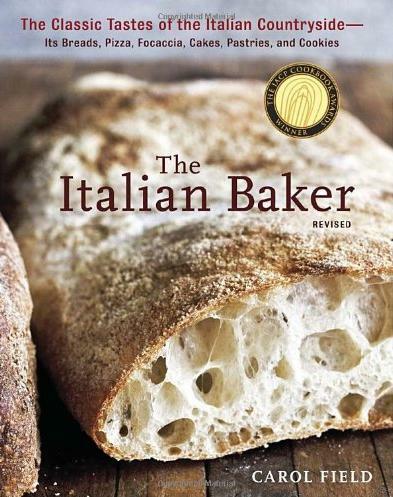 But if you are determined to make authentic looking and tasting Italian regional breads in your own home, then this is the book for you. Just the basic instructions, and an explanation of the equipment and techniques necessary to get the right results, take up one quarter of the book. There is a full index, too, along with a U.S. website that offers sources for the sometimes difficult to find ingredients, and there are even 800 numbers provided in case you need that ingredient pronto! 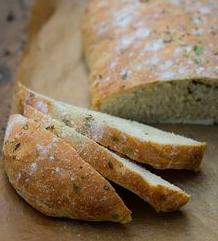 Bread gives us real glimpses into the complex and fascinating history of all the regions of the country. 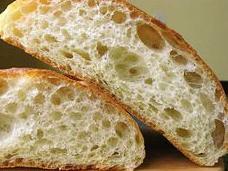 The instructions for most breads are provided for bakers working by hand, by mixer, and by food processor. Special kneading techniques for various types of bread are described, as well as the use of the baking stone, and cast iron pans with rice to add moisture to the bread while baking. I found that not all the instructions were clear, however. Adding more images would help. 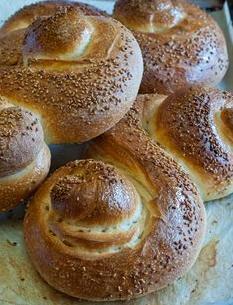 All attempts are made to recreate the chewy-porous breads that come from Italy's high-gluten flour and from cooking break in wood-burning stoves. 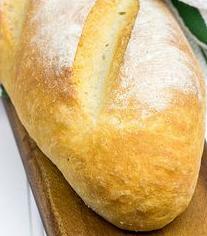 Regional and rustic breads, modern breads, dishes make with bread leftovers, holiday breads, rolls and breadsticks, pizzas and focaccias are all covered in the book. But while bread is the main focus of the book, it also covers some sweets, such as tarts, cakes, cookies, and sweet breads. I may try some of the recipes, but the ones that require several days to prepare, and much money to spend on special ingredients and supplies, I'll take a pass on. As I wrote above, this really is a book for an Italian break fanatic, and I'm not one.